Congratulations! 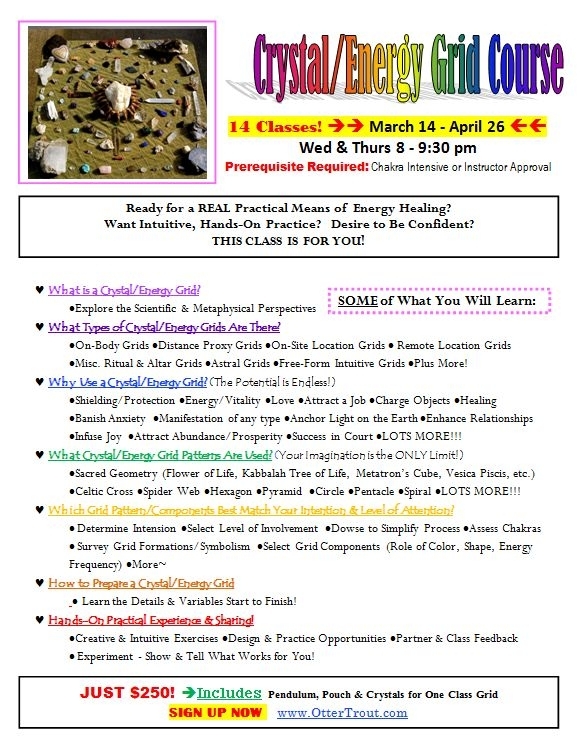 If you have completed the 31 Hour Chakra Intensive and/or are well versed in crystals, chakras and understand the language of energy, this is your opportunity to learn how to heal, protect, attract, manifest and otherwise affect the energy field surrounding all beings, things and locations using love & light. Come ready to roll up your sleeves and dive into the creative, intuitive and scientific art of gridding!